I probably should tell you this, but this recipe combines two foods that I’ve never been a fan of. My husband and son really like broccolini, but eating it steamed has always left me feeling unimpressed. And, try as I might, I’ve never been able to love tahini, it’s just weird tasting, lol. BUT. First a friend of mine served me a salad with this divine sweet, tangy, earthy dressing and then shocked me senseless when she told me that it was tahini. I cut the sweetness back in mine and love it even more! Anyway, by tweaking those two ingredients I’ve created a keto meal that I LOVE. The crunchy almonds are just the cherry on top. 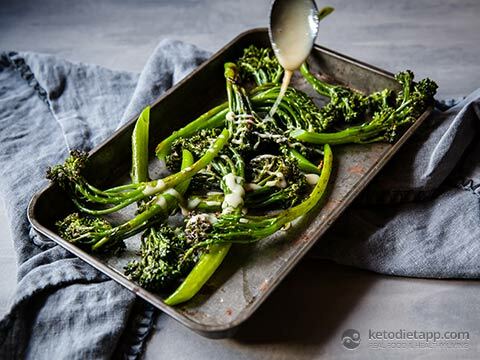 It’s a great side dish for those who keep their carb intake low, whether they follow the ketogenic diet or simply want to eat real food. Enjoy! Did you know? 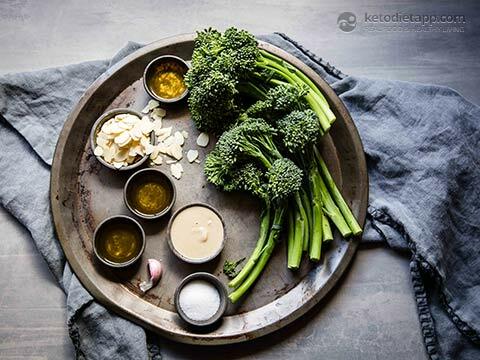 Cruciferous vegetables, including broccoli and broccolini, are also known as goitrogens and can interfere with thyroid function. Fermenting, microwaving, steaming, or boiling these vegetables can reduce their goitrogen content by 33-50% or more, depending on the length of cooking time. 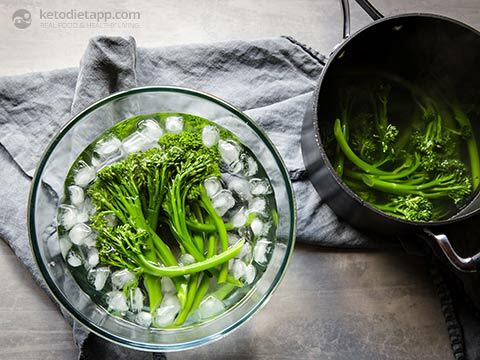 Place the broccolini into boiling water and cook for approx. 3 minutes. Plunge into ice-water to halt the cooking process. 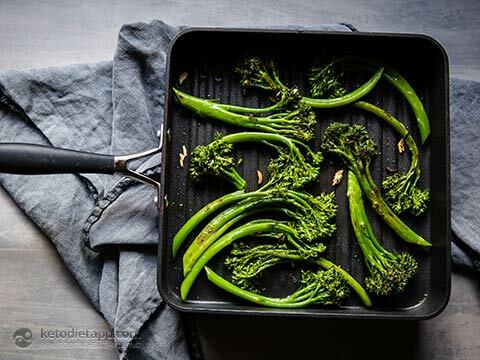 While the broccolini is cooking, add 1 tablespoon of olive oil to a frying pan and heat up. 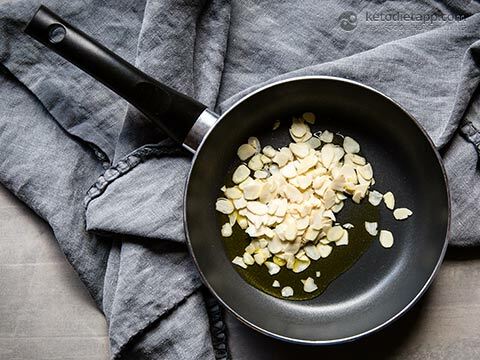 Add the flaked almonds and cook until well browned, but not burned. Thinly slice the garlic. 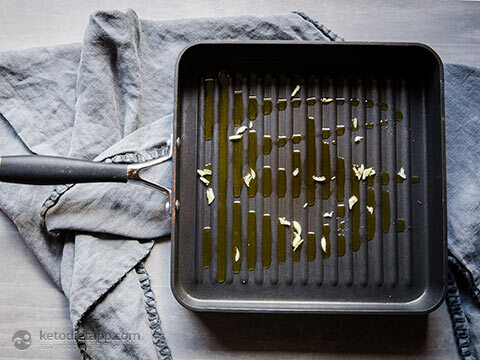 Add the other 1 tablespoon of olive oil to a heavy ridged pan and scatter the garlic over. Heat over high heat. 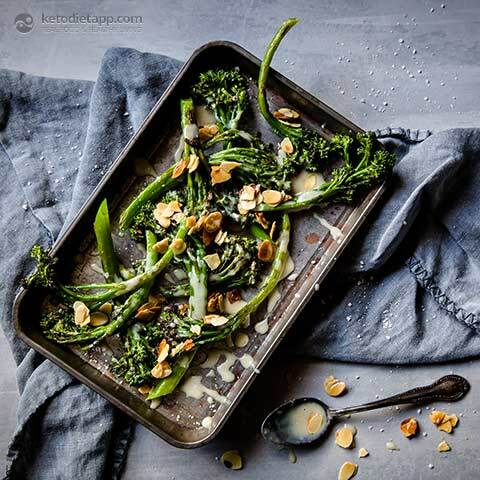 Place the broccolini in the pan and cook for 3 minutes on either side. 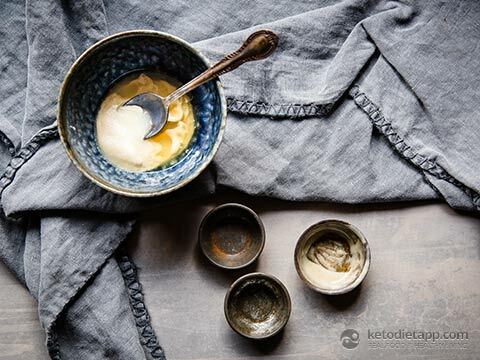 Meanwhile, mix tahini, lemon juice and sweetener together in a small bowl, adding water until you get a good drizzle consistency. 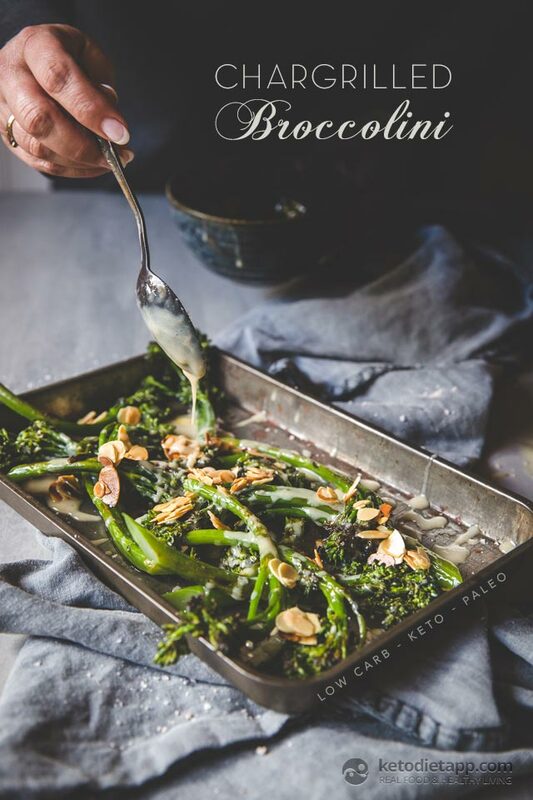 Place the broccolini on a serving plate, drizzle with tahini sauce and sprinkle with almonds, finish with a sprinkle of salt. Store in the refrigerator, covered, for up to 4 days.